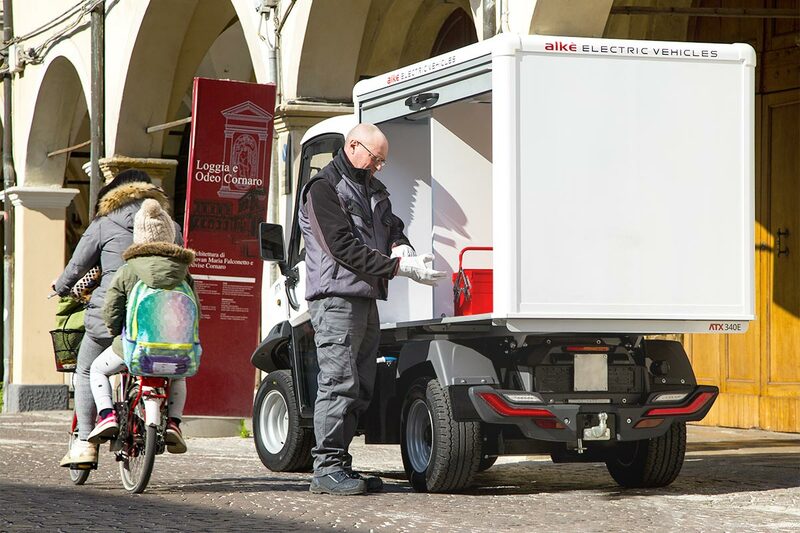 Quiet, compact and easy to move around, Alkè electric box vans with roller shutters are used in hospitals, tourist resorts, and to perform professional meal deliveries. 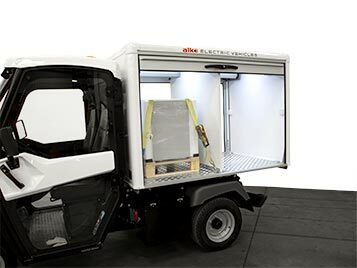 Why to choose an Alke' electric box van with roller shutter doors? 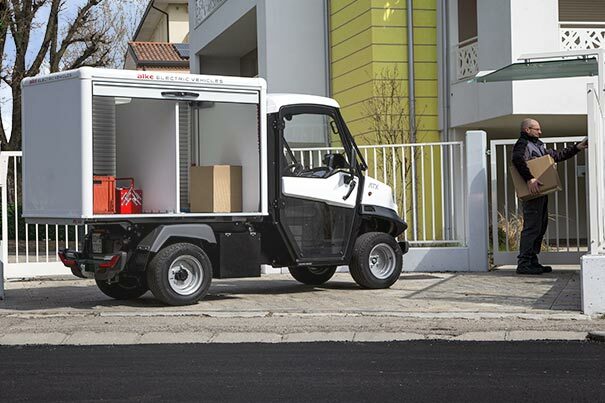 The closed box outfitting with side roller shutter doors can be set in both Alke' ATX standard models and the ones with long wheel base. 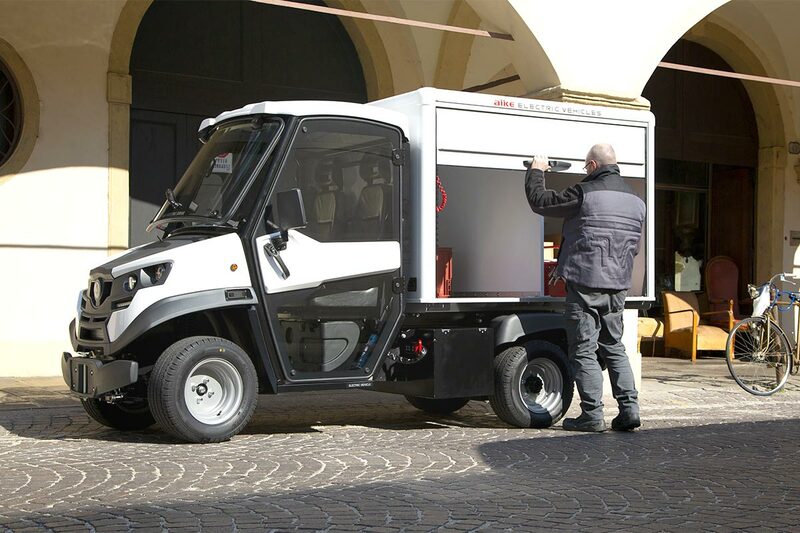 In the first case, box dimensions are 180 x 125 x 122 cm while the sizes of long wheel base vehicles are 200 x 140 x 132 cm. The internal volume of this cargo van is 2.8 m3 (standard vehicles) and 3.8 m3 for the long wheel base ones. The structure is built with plywood panels with fiberglass covering and aluminium profiles, while the platform in aluminium checkered sheet. 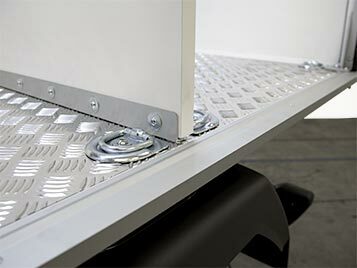 Side roll up doors feature key locks and they leave free and easy access to all internal spaces of the box. 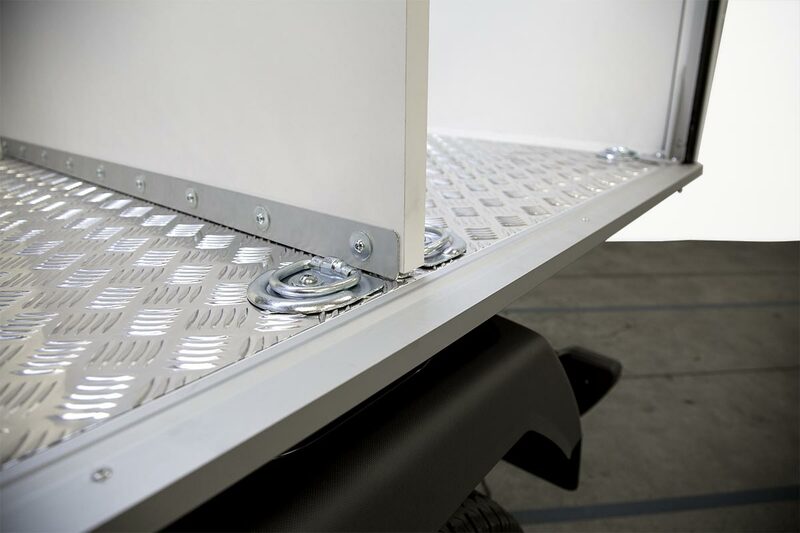 For a spatial optimization, shelves can be placed inside the closed box truck. 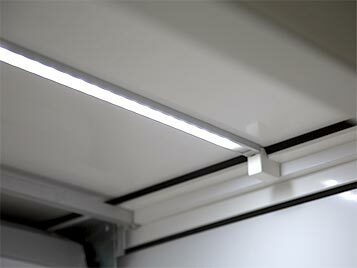 Inside the box there is a LED lighting system that automatically switches on when one of the roller shutters is open. 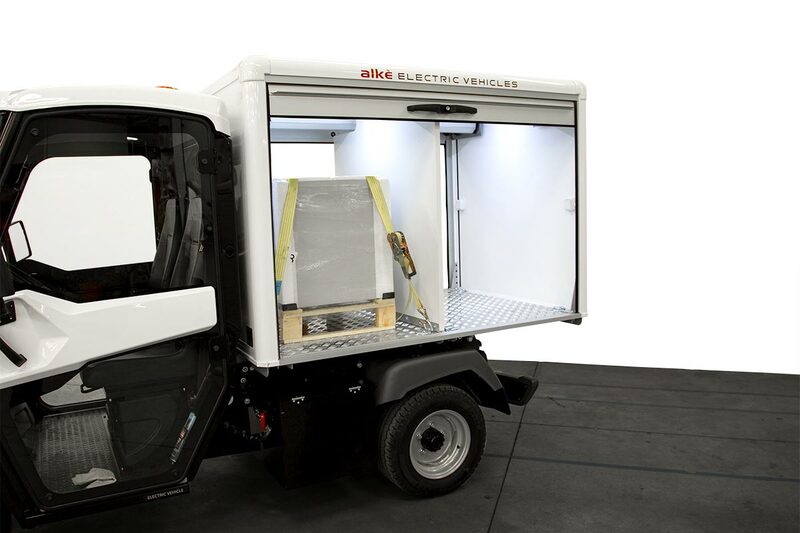 Alke' electric vehicles are studied for logistic operations and they can mach eco-friendly mobility with high-level performances. 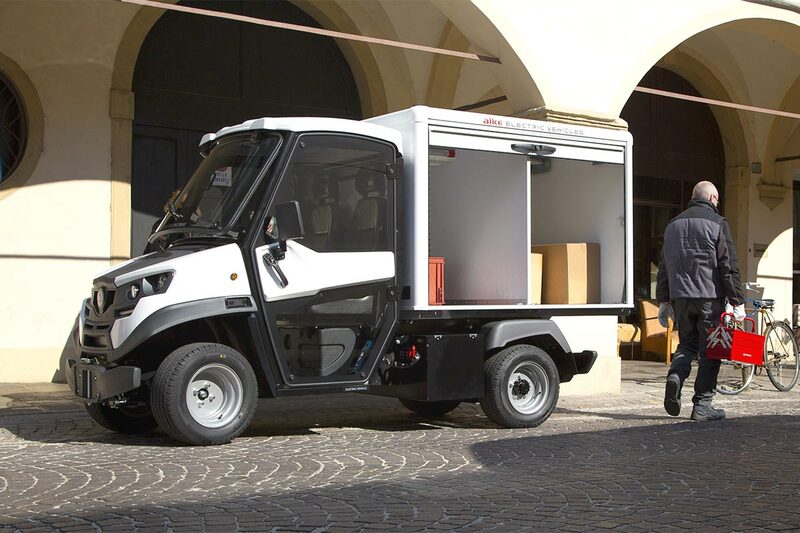 The van version has a load capacity up to 1.500 kg and a maximum autonomy of 150 km (with lithium batteries). 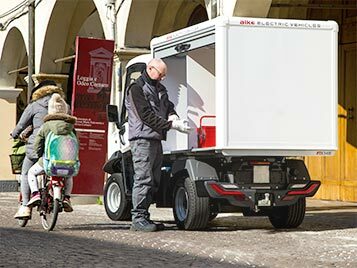 This configuration is normally requested by hospitals and clinics for medical waste transportation, by turistic resorts to move cleaned and dirty whites, by catering companies to deliver ready meals with the insulated boxes they normally use. 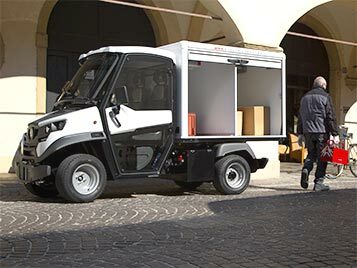 In all these situations, Alke' electric vehicle with shutters is chosen, as well as for the build quality and performances, for small dimensions and for the total absence of environmental and noise pollution, a value added for all those structures who want to provide a comfortable environment to their guests. 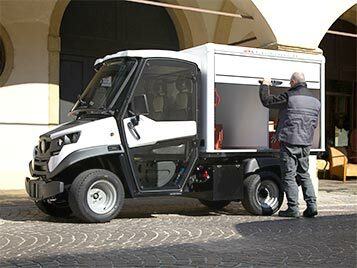 All Alke' vehicles, including this configuration, are N1 type-approved for the circulation on public roads. Partition panel and fixing rings are available upon requests. 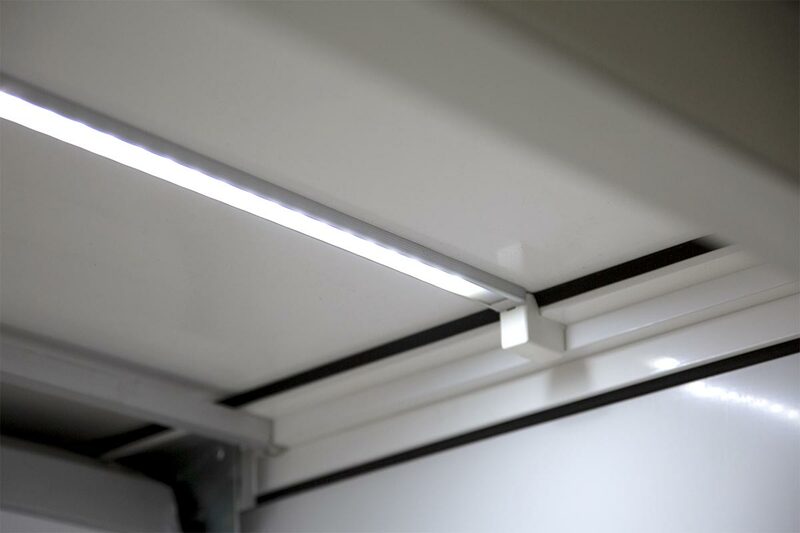 Optionally 2 additional internal shelves are also available, are designed to provide a better management of spaces.